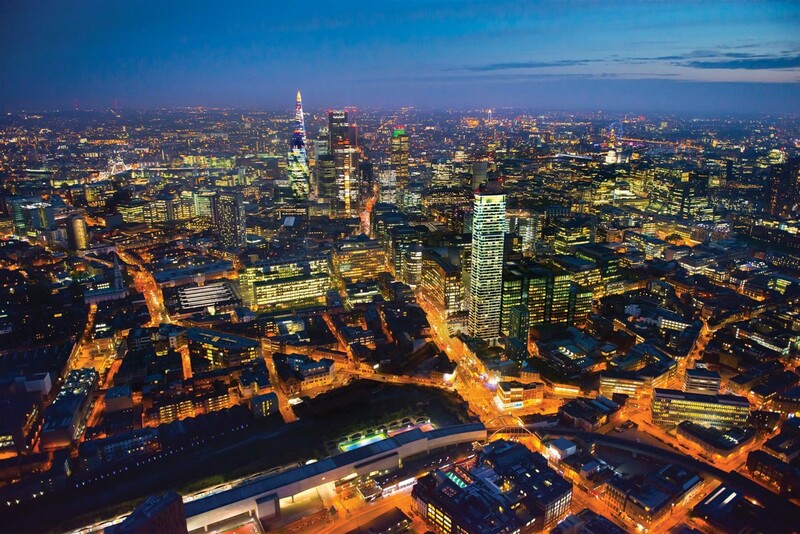 Shoreditch is renowned for being one of the most vibrant cultural hotspots in London. Around every corner there’s a new market to get lost in, venue to eat at or gallery to experience. Whilst there is plenty of nightlife for a visiting crowd Shoreditch is not short on all the essentials a resident would need too, including hairdressers, gyms and watering holes with a local feel. Here’s a list of just some of our suggestions (because the area is ever changing and evolving so there’s always something new to discover). Our first recommendation is The Drafthouse. It has a few different locations (all of which are unique), but we’re going to focus on Old Street. It boasts a very cool YBA themed look and is set in a refurbished 1960s block. As you would expect at a place called The Draft House, it specialises in beers of all varieties, but also does some excellent food. You can find both the drinks and food menus on their website. And if you fancy getting involved in the pub quiz, you can do so on a Monday evening from 18:30. You can go along on your chosen evening and just sit down, drink and eat - or you can book ahead if you have a particularly large party. Strongroom Bar can be found on Curtain Road in Shoreditch and there are endless reasons to consider this spot for your next night out. They serve excellent food and drink. The prices are extremely reasonable and their burgers are a particular highlight. Live bands and music performances are common, whilst there’s space for you to dance if you wish. And the themed evenings really make this place unique. It has everything from Apres Ski Night, 60s Rebellion, and Vinyl Party Music nights. You can also enjoy the fantastic outdoor space it has, which is covered and heated for use all year round. Visit their website to find out more about the exciting Strongroom Bar. Places that host Ping Pong facilities are becoming more and more popular - and Bounce has perfected it’s own offering. If you’re going after 6PM on Monday-Saturday, you’ll need at least six people to book a table. It’s a fun-filled evening that is sure to make you want to go back for more. And it’s really affordable too - with prices starting from just £5 per person! Whilst you’re enjoying this activity, you can drink some fantastic beer, and eat some delicious food from the bar. If you’re feeling adventurous, check out the Wonderball game offered here. A completely new take on the classic game of Ping Pong. And don’t forget - it’s not just Ping Pong, this place also features live comedy, live sports, and is the home of a tasty bottomless brunch. For a more sophisticated evening, you can’t go wrong with Callooh Callay, an amazing cocktail bar in Shoreditch. Their website claims a lack of good cocktail bars in the area led to them opening this establishment in 2008 - and they haven’t looked back since. In fact, based on their popularity the brand has expanded to include JubJub & Little Bat. Whilst cocktails are their speciality, there are other drinks available, including a selection of beers and wines. You can also order some food if you and your party get a little hungry. If you’re going to go with a particularly large group, then you can book ahead and reserve seating. Drinks are very reasonably priced, so you can enjoy yourselves without emptying the bank! Callooh Callay’s belief is that customers deserve the highest quality drinks but without the price tag or pretension usually attached. If you and your friends/colleagues are fans of live music, then The Old Blue Last could be the ideal choice for your evening. They feature a range of different performances throughout the year. It’s a good chance to try something new! They've hosted pretty much every star, from Kylie Minogue to Hot Chip, Funeral For A Friend to The Automatic, Kate Nash to Maccabees, Charli XCX to The Vaccines. Some so truly something for everyone! You can find current listings on this page. The venue also acts as a pub, and so there are plenty of drinks on offer. You may be interested to know it is owned by media outlet Vice. There are acts on seven nights a week. Sometimes it’s a band, other times a DJ set - but always an enjoyable night out. Our first food recommendation is an excellent restaurant known as Dishoom. They have menus for breakfast, lunch and dinner - so you can visit at any time of the day and enjoy a fantastic meal. Based on the all but extinct Irani cafés of Bombay, the dishes are incredibly authentic. You’ll feel like you’re right in the heart of Bombay, with sensational chefs delivering great meals all year round. Alcohol is served too, so you can enjoy a drink with your meal. Dishoom’s owners want to bring people together to celebrate the food of Bombay over drinks, providing a relaxed themed environment and that’s exactly what it does. Boxpark is a fantastic venue that offers a variety of different food, drink and entertainment options. You’ll find a wonderful range of tasty street food, from brilliant burgers at Biff’s Jack Shack, to delicious doughnuts at Dum Dums Donutterie. And there are a number of places to get some good beer too, such as Coqfighter Chicken & Beer. For entertainment, there is consistently top live music being played. Whilst major sports events are screened at various points within the space. Boxpark also features a number of pop-up retail outlets for you to enjoy. With restaurants and shops it's considered ‘the world’s first pop-up mall’. At 162-167 Shoreditch High Street, from Saturday 30th March 2019, you’ll find a weekly food festival. It brings together a variety of food trucks & street food vendors all in one place so your entire party can eat what they want. From steaks to sweets and sushi to croissants there really is something for everybody. You can find out more at their website. It's open Midday to Midnight and it's free to enter so there’s no excuse for not popping down for lunch or dinner. The hosts are proud to present ‘V Corner’ which caters for both vegetarians and vegans. We can’t rave about this place enough. It’s like the outdoor equivalent of Boxpark (see above). Shoreditch is trendy. This can be seen from businesses in the area and hair salons are no exception. Founded in Edinburgh in 2012, Ruffians is a super cool independent chain of hair salons. Within a year of opening their doors they expanded to Covent Garden and since then opening up three more including the Shoreditch salon. This success is a testament to quality of the cut you can expect from the team. They offer a whole host of services, including haircuts, full restyles, beard tidying, cut-throat razor shaves and facials. On the website you can book your next cut or shop for the best hair products on the market. "Kaizo" in an anagram of the two award winning founders' names - it also happens to translate in Japanese to mean “to customise or transform” (lucky that!). This is the ethos behind the salon, so you’ll leave feeling like a new person with your fresh look. We had to include Kaizo in our list because the founders recognised that Shoreditch is a cultural hub and said it was the only spot for the salon. They claim that it’s the vibe of the local area that inspires their work. Kaizo is not the cheapest haircut you’ll ever get and that’s because the crew see hair as a canvas for art, so you can expect the results to be remarkable. If you’ve not lived in central London before you may think that it’ll be lacking in some areas, such as ways to keep fit. We’re here to tell you that whilst there are plenty of bars & restaurants, fitness is still an option! With 7 locations across London, including one in Shoreditch, Move Your Frame offer over 1,300 exercise classes per week. That’s an incredibly large number of options, so there’s a series of classes for you. Sessions are offered either pay-as-you-go (£15) or their are discounted loyalty cards and all inclusive memberships. A small touch, but invaluable, is that towels are free. This art gallery space was opened in the 80s and during its 30 years in Shoreditch has found its voice by focusing on important issues such as identity, representation, human rights and social justice. The venue hosts a combination of curated exhibitions by visiting artists and pieces on loan to the gallery. So you’ll find entire shows that will be fresh and new whilst getting the chance to see pieces on tour. Whether you’re looking for a cheap day out or are willing to support the cause the gallery offers a mix of pay-to-enter events and free exhibitions. To find out about the latest exhibitions check the website. The Standpoint Gallery has carved its niche by curating shows from emerging/mid-career artists (both from the UK and international). This approach means that you get well thought out, cohesive exhibitions that bring together and celebrate a collective of artists, showing off variety and diversity in a single exhibition. In the true ethos of art this is a creative space in which to explore new ideas and perspectives. And you never know you may catch one of the first exhibitions by the next Tracey Emin or Damien Hirst. We love this place because it supports up and coming artists - giving them the platform to showcase their skill. This world famous market has stood on this site for over 350 years, but saw a radical transformation in the 00s when it was renovated. Whilst it’s not strictly speaking in Shoreditch it’s so close that in the interest of neighbourly love we wanted to include it on our list. It offers a variety of markets depending on the day, including vinyl fairs, vintage stalls and general arts & crafts. Check out the website for more information. Brick Lane might be one of the most famous streets in London. It really is synonymous with culture and diversity. Like Spitalfields Market it’s technically a little out of the Shoreditch boundary line, but it’s so fluid nowadays that it’s a worthy entry in our list of recommendations. There’s so much on offer we couldn’t cover it all in this list, so check out the website for more info. Yes, you read that right, it’s such a big deal that it has a website! Vintage is now high fashion, with people embracing the styles of yesteryear. In F Block, 85 Brick Lane you’ll find a vintage market which stocks lost treasures from the 20s through to the 90s. No matter which day you’re in Shoreditch you can visit as they’re open 7 days a week between 11am-6pm (Monday to Saturday) and 10am-6pm on Sundays. There is so much street art in Shoreditch that we can’t point you to one place in particular, there really is something around every corner (we covered it on our blog). Our street art is world class, so it’s not just the usual graffiti scrawls and tags, these really are pieces of art. Don’t believe us, on our street alone there are pieces by Banksy! One is opposite us and was on a wall which has been physically moved indoors behind glass to protect it. The other sadly has been washed away! Before we moved into our Shoreditch estate agency office at 110 Curtain Road we had a small Banksy on our doorstep, but by the time we moved in (much to our disappointment) it had been scrubbed clean. Great service from the guys refurbishing the office, but obviously they hadn’t realised the significance of what was underfoot. NOBU has so much to offer we didn’t know which category to include it in, but we had to have it on the list! The NOBU HOTEL is not just a deluxe boutique hotel it has a cafe, relaxing spa and an excitingly creative Japanese restaurant. See, we told you! The hotel is not for everyday stays, but would make an incredible anniversary getaway and they offer a 10% discount if you book directly through the website. NOBU has so much on offer that you might be tempted not to even explore the rest of what Shoreditch has on offer, but we think that would be a mistake (just take a look at how big this list is of fun things to get up to). Origin Coffee might not be what you’re expecting - it’s not a cafe. They’re actually a retailer of the latest coffee brewing equipment. Oh and they also offer professional courses in coffee, so whether you’re a barista or just want to expand your coffee knowledge you can do that here. Whilst they aren’t a cafe they do of course sell coffee, so you can subscribe to a coffee delivery program to ensure you get the best quality beans to your door. We’re delighted to recommend any of the above places for an exceptional experience in Shoreditch, whether you live here or are just visiting. Each offers fantastic service, good food, or even better drinks. We’ve tried to cover a few different options - you can go for a quiet drink, an evening meal, a unique purchase or a trendy hair do. Whatever you decide we’re confident you’ll have an amazing time!